Owatrol oil is a highly penetrating air drying oil that can be used either on its own or can even be added to paint as a paint conditioner. 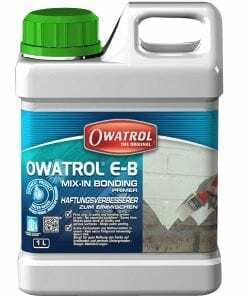 Owatrol oil is suitable for a multitude of uses, it is a highly penetrating air drying oil that can be used either on its own or can even be added to paint as a paint conditioner. When used on its own this Owatrol oil provides a tough, flexible finish that drives out any excess moisture and air as a rust inhibitor stopping rust in its tracks. Or when used with wood on its own this oil will saturate and protect the wood from possible damage caused by moisture helping prevent future paint on the wood from peeling. As stated earlier this oil can also be used as a paint conditioner. When used as a conditioner this oil will increase wet edge time, improve the flowability of the paint and give greater adhesion, plus unlike other more damaging thinners, this oil will maintain the quality of the paint without affecting its appearance or drying time, meaning you can achieve a more professional paint finish. First surfaces must be clean, dry and free from any oil, grease and any other possible surface contaminants. With new steel – mix 1 part Owatrol oil to 3 parts primer, then apply with a brush. Lightly rusted surfaces – mix 1 part Owatrol oil with 2 parts primer, then apply with a brush. New unpainted rusty steel – mix 1 part Owatrol oil to 1 part primer, then apply with a brush. Severely rusted or previously coated surfaces – Apply wet on wet applications of Owatrol oil to all exposed rust until fully saturated then allow to dry. Before the oil has hardened check the surface and remove any rust scales and old paint loosened by the above. Touch up these areas if needed and allow to dry. Then mix 1 part Owatrol oil to 2 parts primer and apply. Apply paint as normal and if the paint appears to be sticky if it drags or sets too fast add Owatrol oil and stir in well until the paint appears smoother.Paint conditioner for wooden surfaces – mix 1 part Owatrol oil to 2 parts primer and apply as normal. Paint conditioner for wooden surfaces – mix 1 part Owatrol oil to 2 parts primer and apply as normal.Paint conditioner for damaged wooden surfaces – apply 2 to 4 applications of Owatrol oil wet on wet, as fast as the wood will absorb it and do not allow Owatrol oil to dry between applications. When the wood cannot absorb any more wipe off any excess and allow to dry (overnight) then paint ontop as normal. 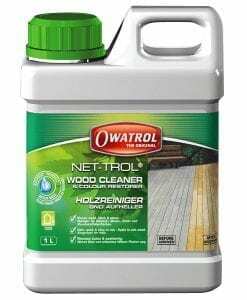 Paint conditioner for damaged wooden surfaces – apply 2 to 4 applications of Owatrol oil wet on wet, as fast as the wood will absorb it and do not allow Owatrol oil to dry between applications. When the wood cannot absorb any more wipe off any excess and allow to dry (overnight) then paint on top as normal. Owatrol Oil will not lift well-bonded paint. Test for compatibility when adding Owatrol Oil to paint. Do not mix or overcoat Owatrol Oil with paints containing hot solvents i.e. 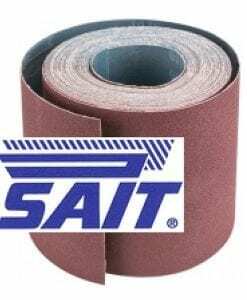 Xylene, 2 part coatings, chlorinated rubber etc. 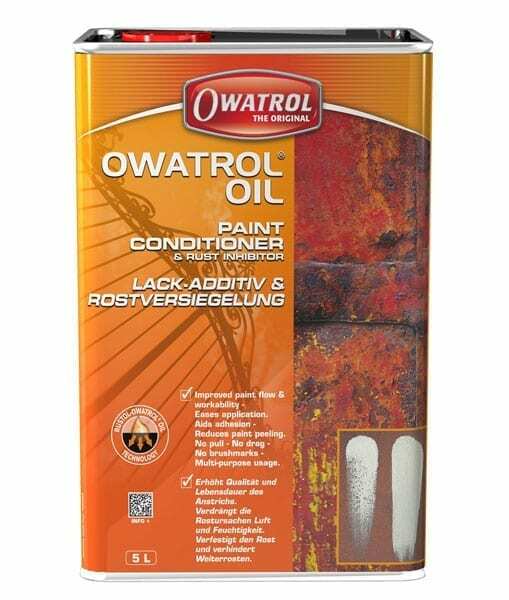 Do not use Owatrol Oil as a paint conditioner in water-based paints, for this purpose use Floetrol. Preventing further damage to heavily rusted surfaces. Preventing paint peeling on wooden surfaces. 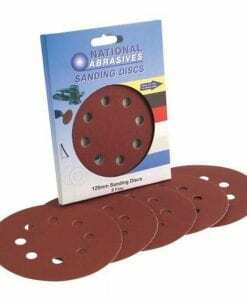 Assuring better adhesion of finishes. Can be added to paint. 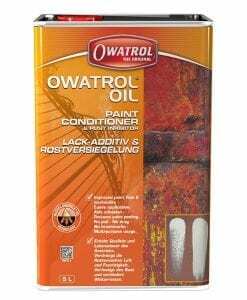 Can’t sat anything about the Owatrol Oil yet as I haven’t had chance to use it, though it comes highly recommended by various people as an effective antidote to the hopeless paint we’re inflicted with thanks to various legislation. I’d deal with Wilsons Paints again; I like small business, they were very helpful, price was competitive and arrival time short.